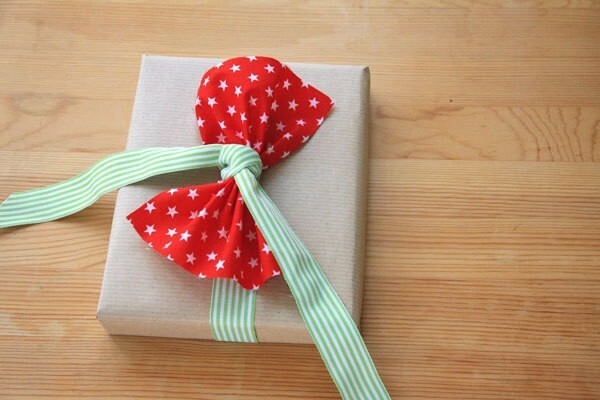 Use your old fabric scraps to add some flair to your next gift wrapping. 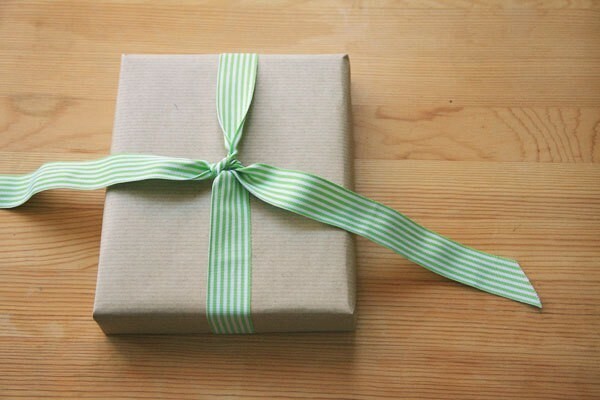 I was given a gift that was wrapped in this way and it was so cute that I kept it in the back of my mind for later. This is a lovely way to use up little scraps of fabric that you have and takes a plainly wrapped gift up a notch. First, cut your scrap of fabric to size. In the photos, I've used a 6" square. Start off with a piece a bit bigger than you think as you can always trim it down. 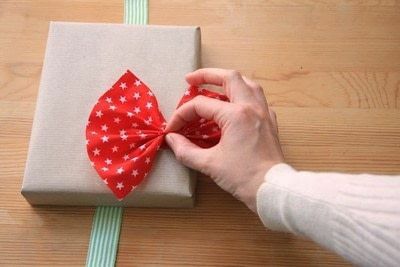 Put your ribbon under the wrapped gift it bring it up to the top and secure with a knot. 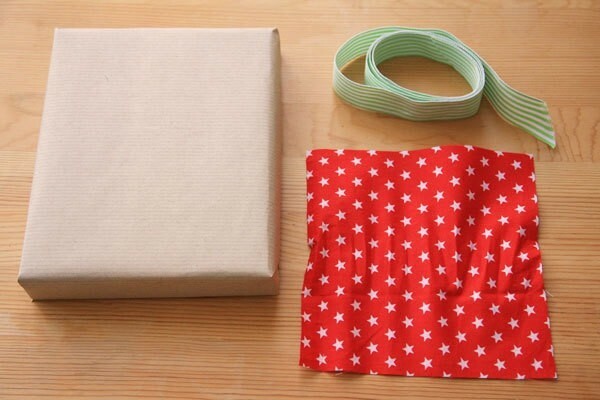 Holding the bottom of the fabric with your thumb, work up the middle pinching the fabric into a concertina. Hold tight between your fingers. 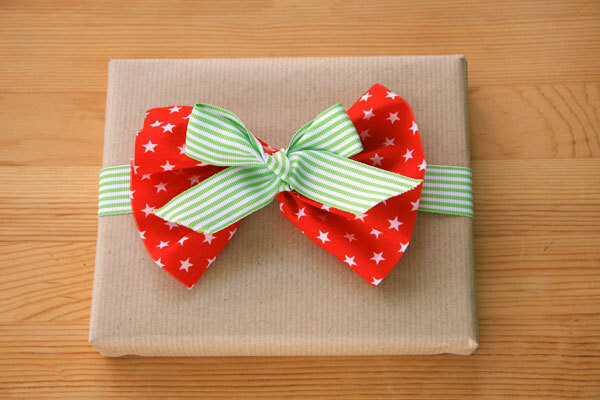 If you're not happy with the shape of the bow, then trim off strips from the top for a less curvy bow, or the sides for a shorter bow. Holding the bow, put it on top of the ribbon and then tie the ribbon over the top. You can work the rest of the ribbon into a little bow or a neat knot, depending on the look you want.